In May 2011, the Maine Public Utilities Commission (PUC) voted to require Central Maine Power to offer an opt-out program for customers who choose not to have a standard smart meter installed as part of CMP’s smart meter program. The customer who choses an opt-out option would be required to pay the associated costs of that option, either an initial charge of $20 and a monthly charge of $10.50, or the initial charge of $40 and a monthly charge of $12. 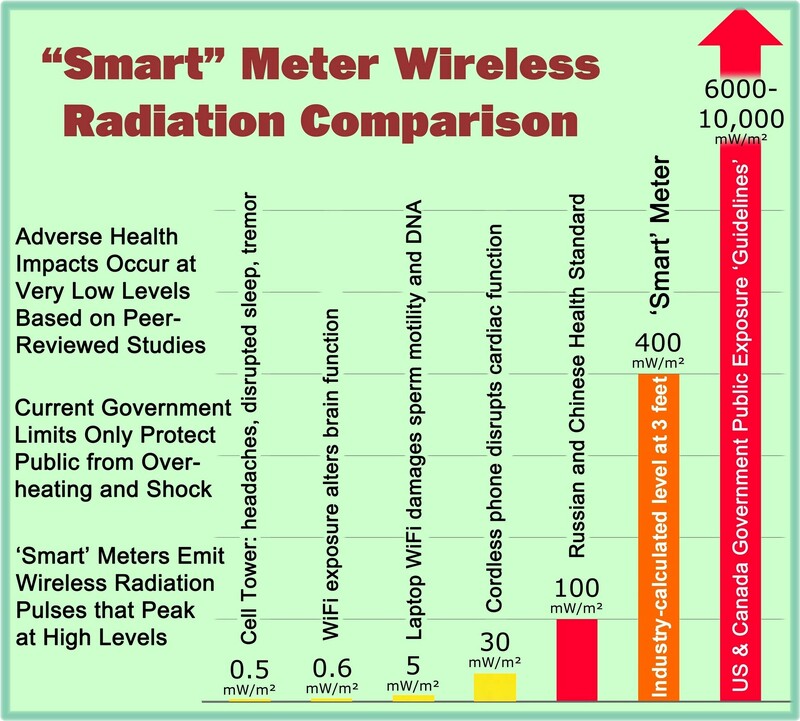 In August 2011, opponents of the smart meter program filed a complaint with the Maine PUC opposing the fees charged to customers who want to keep their existing meters and sought investigation into the adverse effects of smart meters regarding health, safety, privacy, and property rights. The PUC dismissed the complaint without an investigation or hearing. In January 2012, opponents filed a brief with the Maine Supreme Judicial Court, presenting arguments on appeal of the Maine PUC’s dismissal of their complaint. On May 10, 2012, the Maine Supreme Judicial Court heard arguments regarding smart meters and the opt-out provisions ordered by the Maine PUC. The video provided below is quite revealing as to how the Maine PUC and possibly other state or provincial utility commissions consider the safety concerns of the public in relation to the desires of utilities to implement costly and questionable new technologies. If more people were to see videos like the one provided below, there would likely be much more public concern and pushback regarding the massive rollout of smart meters. “The public is free to have whatever concerns it would have;” as if the authorities don’t really care what concerns the public may have with regard to smart meters. If you have time, you can also view a video that provides a rebuttal to the Maine PUC’s arguments by the Complainant’s attorney. The rebuttal addresses the issue of fees associated with the opt-out option and that such fees are in fact a penalty or sanction against those with smart meter safety concerns or those who are attempting to exercise their constitutional rights. In July 2012, the Maine Supreme Court issued its decision that the PUC failed to resolve health and safety issues related to Central Maine Power Company’s installation of “smart meters” and should now do so. This entry was posted in Smart Grid, Smart Meters, and RF Emissions and tagged Maine Supreme Court, Opt-Out, Smart Meters. Bookmark the permalink.